On 11 November 1918, the guns on the Western Front fell silent after the signing of the Armistice at 11am. After the Great War, as it was called, King George V began the tradition of Remembrance ceremonies. Towns and villages put up war memorials dedicated to the memory of their lost sons. The Sunday nearest to November 11th has become Remembrance Sunday. 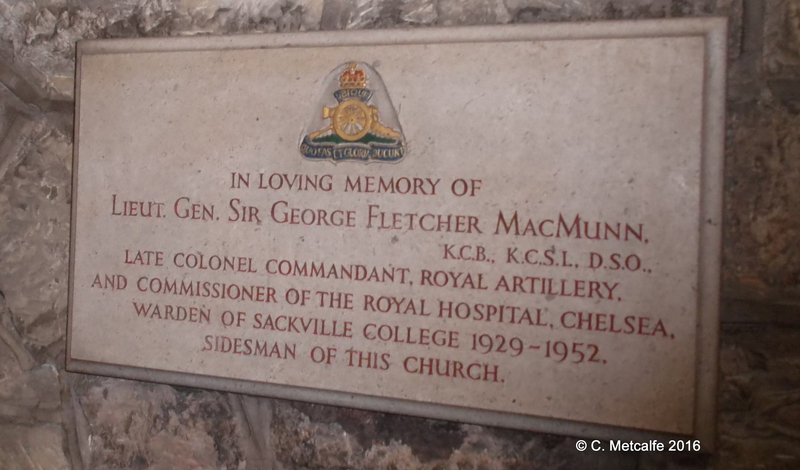 Inside St Swithun’s church, there are reminders of the First and Second World War, and of older battles. 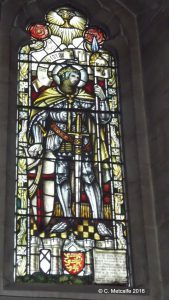 The most obvious war-related fixtures are the long lists of the fallen in the First and Second World War, mounted on the south wall of the Memorial Chapel. The board for the Great War describes it as lasting from 1914 until 1919. This may be because, although the Armistice was signed in November 1918, the Treaty of Versailles, imposed upon Germany by the Allies, was not completed until 1919. 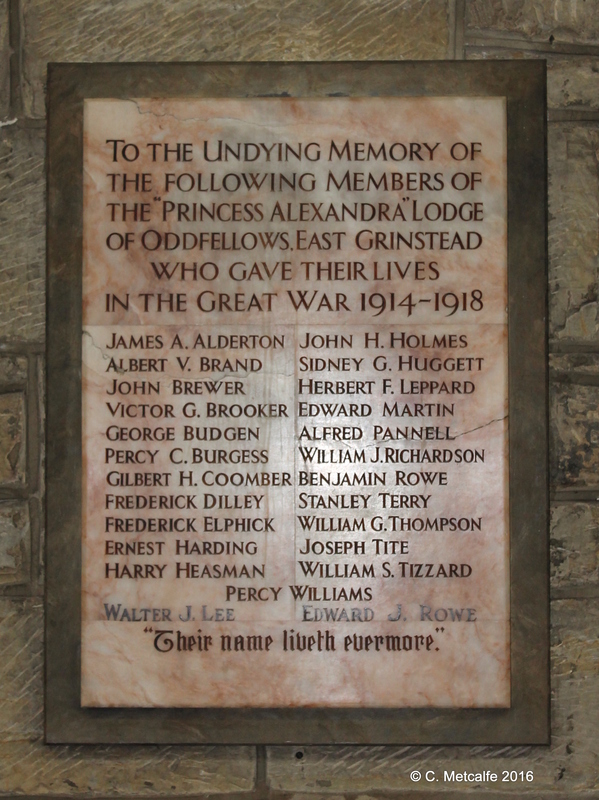 Some of the names on the Great War board can also be found on a tablet on the north wall near the back of the church. 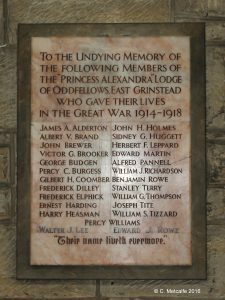 This is dedicated to the ‘undying memory’ of those who fell who were members of the local branch of the Oddfellows, a charitable association. 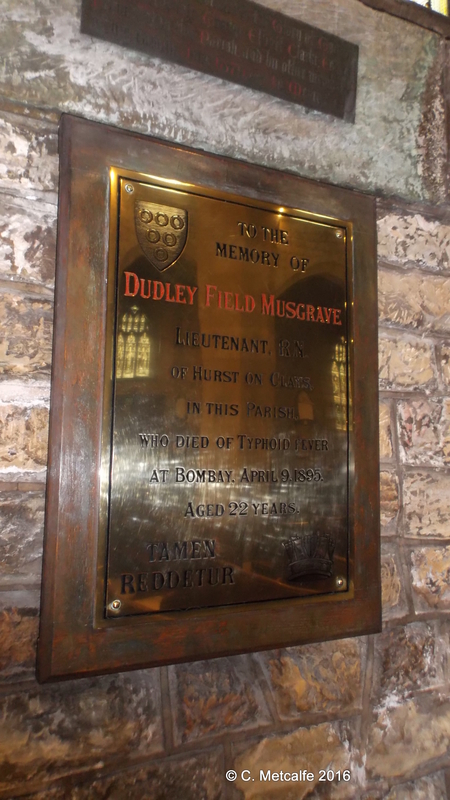 The Chancel screen was given by the parents of 2nd Lieutenant Guy Francis Ormond Devitt of the Rifles Brigade. He was killed in Belgium in 1915. The screen was put up after the Great War was over. 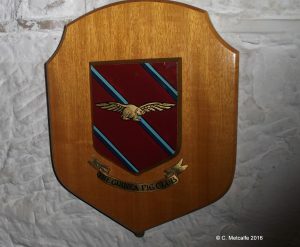 ‘To the Glory of God and to the memory of Major Herbert Musgrave DSO, Royal Engineers, who fell in Northern France June 2nd 1918 while serving on the Staff of the Second Corps. An example of a noble courage and a memorial to virtue, not only unto young men but unto all his nation’. 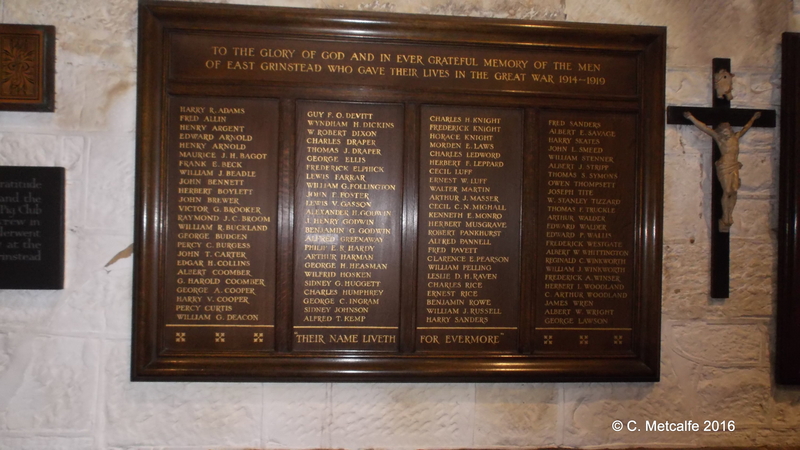 The Second World War is remembered in the tablet ‘To the Glory of God and In Ever Grateful Memory of the Men of East Grinstead Who Gave Their Lives in the Great War 1939-45.’ The Second World war is unusually described as ‘The Great War’ here. 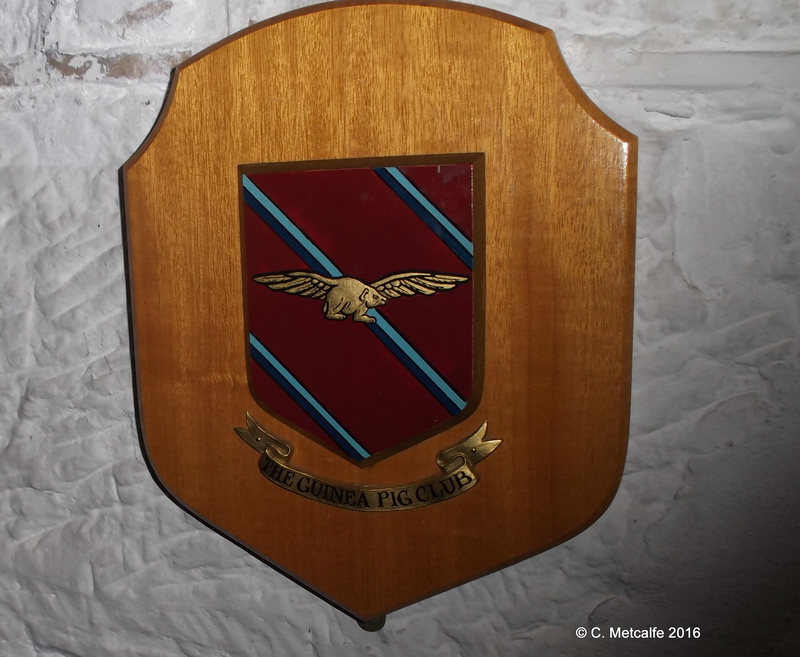 Touchingly, this board also honours: ‘The memory of those who have since died in the service of their country’. 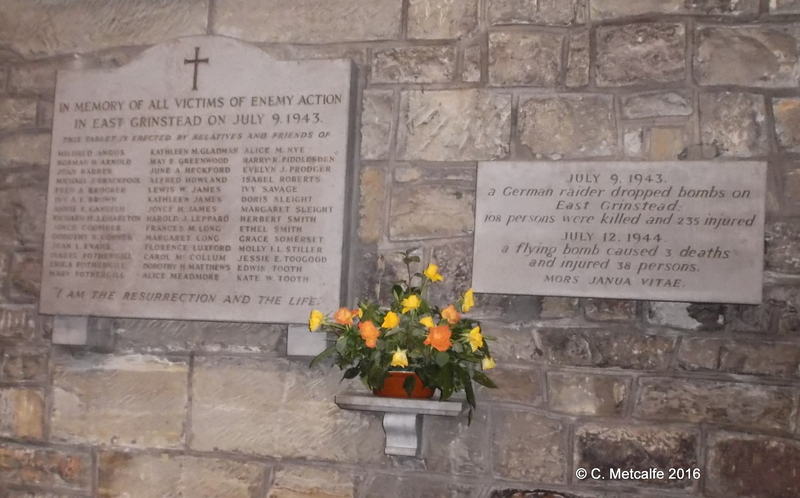 One of the worst civilian losses of life in south east England during the Second World War is remembered by a stone plaque on the south wall. This is dedicated to the parishioners who were some of the large total of casualties in the Whitehall Bombing of 9th July 1943. 108 were killed, and 235 injured. 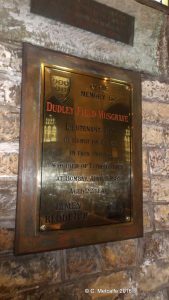 Next to it is a smaller plaque recording the flying bomb which killed another 3 people and wounded 38, on 12th July 1944. 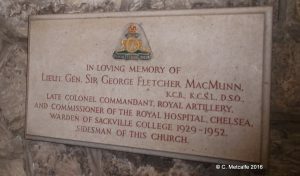 Lieutenant General Sir George MacMunn is commemorated in a tablet on the north wall. Whilst Warden of Sackville College, he ran the local Home Guard for a time. St Swithun’s has reminders of the terrible suffering sometimes caused by War. 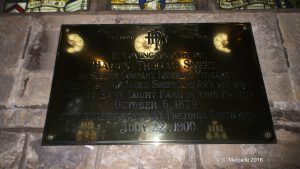 A monument to Henry Standen, who was treated for burns at the Queen Victoria Hospital, hangs on the wall of the Memorial Chapel, just above a shield of the Guinea Pig Club. Some of the victims of terrible burns, treated by Sir Archibald McIndoe, called themselves ‘Guinea Pigs’, partly because their treatment was experimental, even revolutionary. 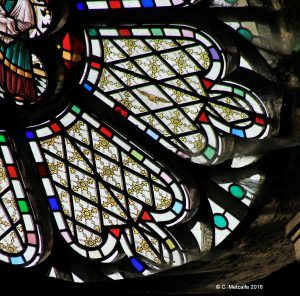 The clerestory windows on the right as you face the altar have a number of animals depicted in the panes surrounding the central pictures, at the request of donors. The last round window at the back of the church famously has the flying guinea-pig symbol. It is very hard to spot. However, the symbol is very appropriate for East Grinstead, whose Queen Victoria Hospital was the scene of the pioneering work of Sir Archibald McIndoe. Two tablets record men who died of illness whilst serving a long way from home: Dudley Field Musgrave RN of typhoid fever at Bombay in 1895, and Harry Thomas Steed of the 69th Sussex Company Yeomanry, who died of enteric fever at Pretoria in 1900. 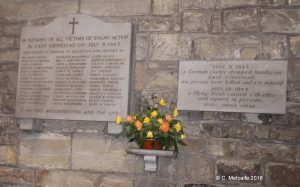 St Swithun’s church honours the loss of life of men serving in both World Wars, as well as men, women and children who were killed in the bombing of the town. 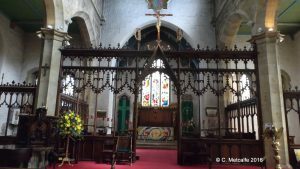 The Chancel screen was a gift from parents in memory of a son killed in action. Images of the guinea pig reflect injuries sustained and the treatment of those wounded. 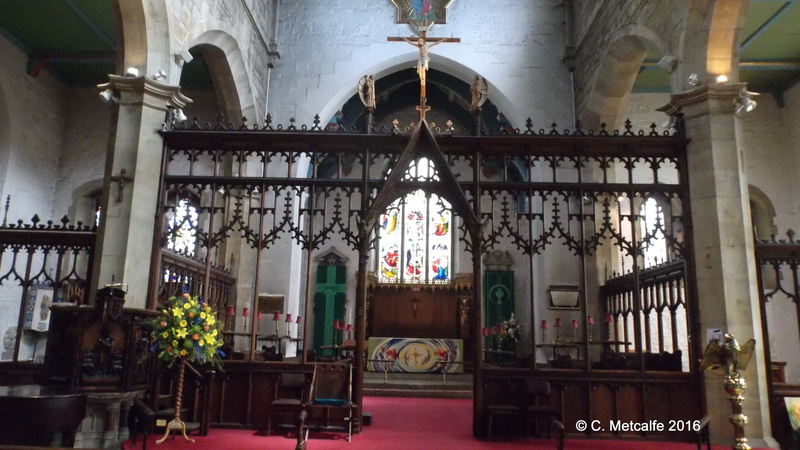 The Parish Magazines tell the stories of how this congregation coped with both Wars. 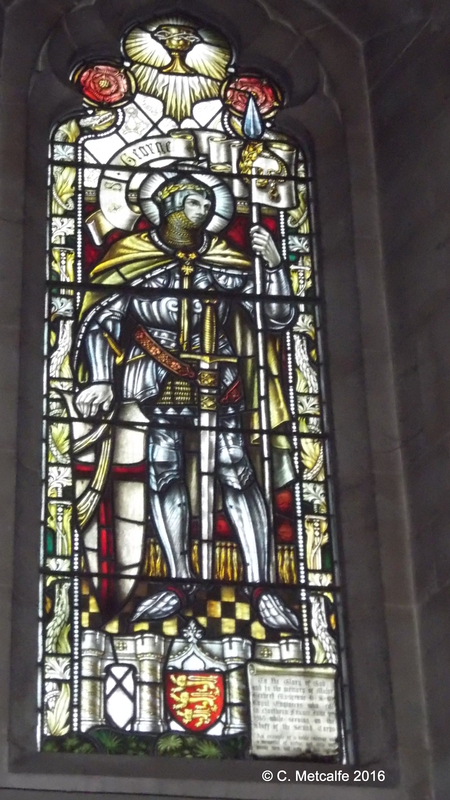 The Clergy at St Swithun’s continue to remember those men and women serving in the Armed Forces in present conflicts, and to remember the fallen and those affected by war, in congregations past and present and across the world.